Is there any program that can help me archive scanned PDF files with barcode? I have a lot of PDF files, and I want to separate those with barcode from them, do you have such product? 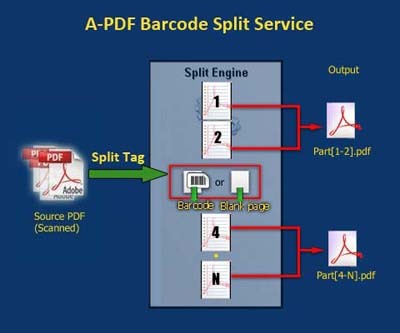 split scanned files based on barcode or blank pages. With this software, you can easily archive scanned files with barcode or blank pages. 7. After all the options are set, click "OK", and start to split files based on barcode or blank pages.